You are here: Home / 2018 / Let the 2018 Call for Nominations Begin! Let the 2018 Call for Nominations Begin! It’s time to begin the nominations for the 2018 Childfree Person of the Year and Childfree Group of the Year! The Childfree Person of the Year nominee can be a person of any gender identification. 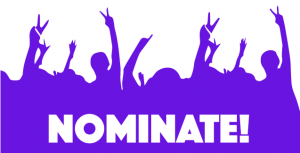 The nominee category can be a couple, duo, trio, or a group. Examples include but are not limited to childfree romantic partners, childfree Meetup groups, social media groups, forum leaders, or website founders. 1. Nominees have no children by choice. 2. The nominators know or are acquainted with the person(s) personally or professionally. 3. Re-nominations of a person(s) who previously did not win are accepted. 4. Self-nominations are also accepted. What about your nominee makes the person an ideal candidate for the Childfree Person of the Year award? What about your nominee’s life makes the person a candidate for the Childfree Person the Year? For example, what accomplishments, contributions to others or the world are exemplary to award this person the Childfree Person of the Year? How would you say your nominee has contributed to the acceptance of the childfree choice in society today? What about your nominee group makes them an ideal candidate for the Childfree Group of the Year award? What accomplishments or contributions to others or the world are exemplary to award this group the Childfree Group of the Year award? How would you say the nominee group has contributed to the acceptance of the childfree choice in society today? DEADLINE FOR NOMINATIONS is JULY 22nd! Winners announced on August 1, International Childfree Day!